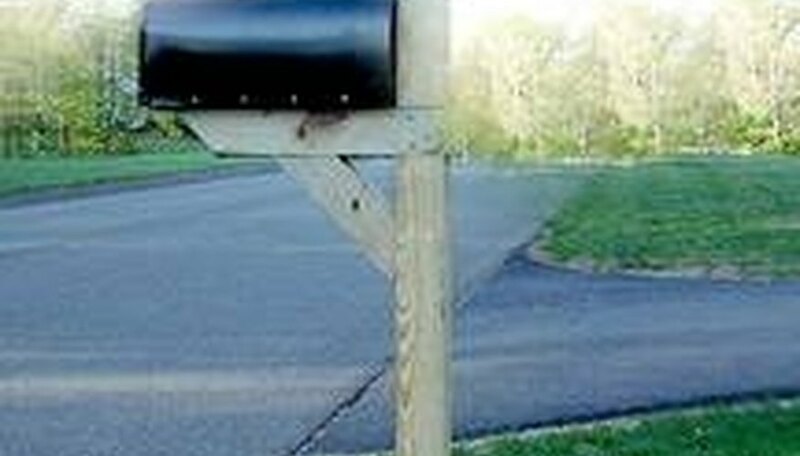 When you're ready to install your mailbox, a sturdy post is essential, especially if your mail is delivered curbside by a motorized mail carrier. Fortunately, you can stabilize the post beneath the surface of the ground, leaving the upper portion of the post visible. Concrete provides a powerful base and once it cures; your mailbox will stand strong in high winds and even against car door bumps. With a few tools and an assistant, you can set the post in a couple of hours. Call for utility locales before you dig. Power lines, phone cables and gas lines criss-cross most residential lots. Each utility company will inspect your yard and tell you if it is safe to dig in the desired spot. If you dig without prior notification and hit a line, you may be liable for the repair expense. Dig the hole to a depth of 38-inches. The standard height of a curbside mailbox is approximately 46-inches. Make sure the hole is straight as you dig. 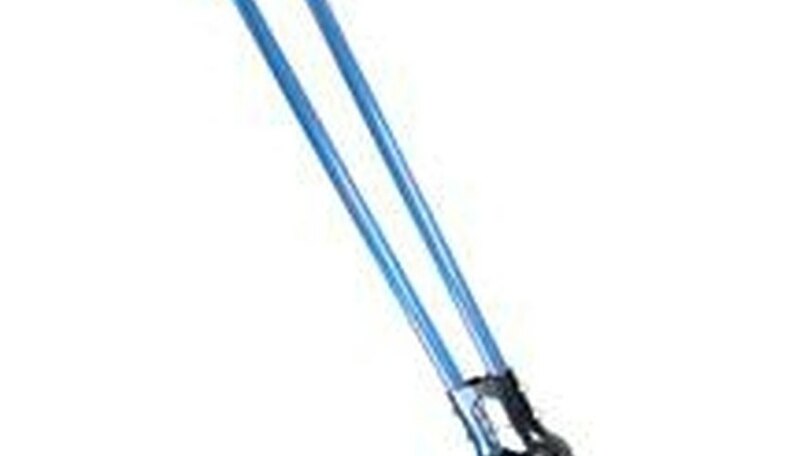 Remove loose dirt from the hole after digging. Mix 2 bags of fast-setting concrete in the wheelbarrow, adding water as directed on the bag and stirring with the shovel. As soon as the concrete is thoroughly mixed, you must move quickly. You have a limited amount of time in which to position the post before the concrete hardens. Put two shovels of concrete into the bottom of the hole and place the post in the hole. Check to make sure the side you desire is facing the road. Tamp the post up and down a couple of times to work it into the small amount of concrete at the bottom of the hole. Recruit your assistant to hold the post as you quickly shovel the remainder of the wet concrete around the base, working swiftly. Fill the hole 1-foot from the surface of the ground. This will take most, if not all, of the mixed concrete. Level the post by holding the carpenter's level on all four sides, gently coaxing the post into position. This may cause a small gap in the concrete around the post base, so use your shovel to push the wet concrete back against the post. Hold the post in position until the concrete is cured enough to do so. This does not take long but don't wiggle the post to check. Once the concrete hardens enough to hold the post, you can mix the last bag of concrete and pour it in the top of the hole in the same manner as before. Once it cures, you may set your mailbox. Leave 3-inches of empty hole at the top of the post--below ground level if you want to plant flowers or grass around the post. Your post will still be secure but the concrete base will be out of sight. Don't cut corners and pour all three bags of concrete at one time. The final bag, when poured on top of the already set concrete ensures that the post will not move during the pouring process. 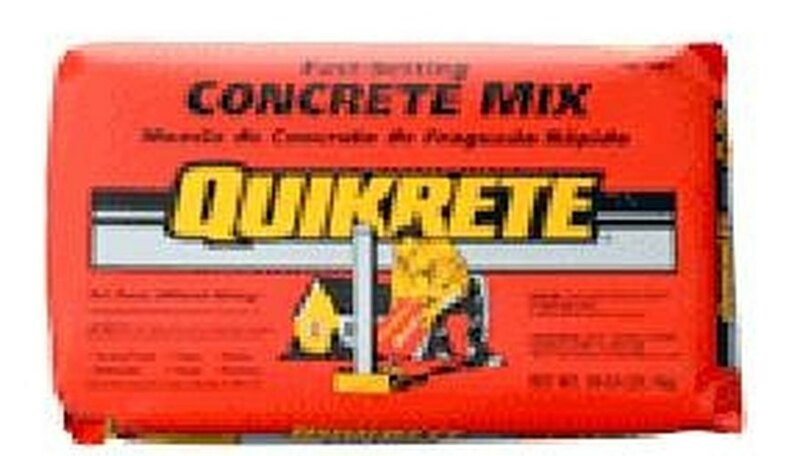 Find a Quikrete retailer near you.